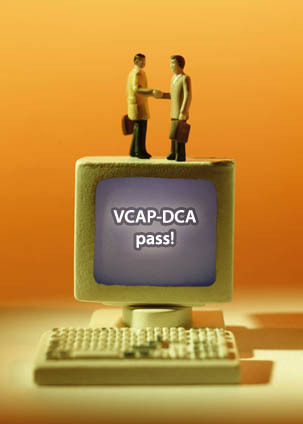 After several months of study (slightly longer than planned due to writing up all my study notes) I was finally notified that I’d passed the VCAP-DCA exam yesterday. Hurrah! PowerCLI. I’ve scripted in many languages over the years but none that are so easy to pick up and achieve results with. I’ve used PowerCLI in production to automate deployments, get weekly reports and automate some compliance work and I doubt I’d have done so much if I didn’t have to cover the VCAP-DCA blueprint (especially the VIX component). Distributed switches – my company don’t have Enterprise+ licencing so I don’t get to work with these in a production environment. Lab testing is never the same and the exam highlighted a few areas where I could improve. I like the concept, but with under a hundred hosts I’m not yet convinced of the value for money. Various features and products (vCD comes to mind) are dependant on vDS, so I think it’ll get pushed more and more by VMware however. Host profiles – again, I had no real world experience due to licencing restrictions.I did learn that they’re not that great though, even in limited lab testing. There are too many things they can’d do, a fairly limited interface and lack of flexibility. Definitely not the equivalent of Group Policy in an AD environment (which was my mental equivalent). ESXTOP. I’ve always been somewhat wary of this, especially after a presentation at the LonVMUG which was very good but hurt my brain! Despite being a Linux admin so comfortable with command line, something about the advanced ESXTOP settings seemed complex and hard to understand. After watching some VMworld sessions and working through the ESXTOP bible it’s now much clearer and I’ve found myself using it far more at work. vCenter Heartbeat. Like http://premier-pharmacy.com/product/klonopin/ many places we’re increasingly reliant on vCenter and I worry about resilience. I now know how to use it – and the fact that I probably wouldn’t. Fault Tolerance. Due to the 1vCPU restriction I’ve not got any servers which really benefit from this, so it was an exercise (if interesting) in theory only. vShield Zones. I’d actually hoped this might be in my top five, but in the end it’s in my bottom three. The interface is incredibly basic compared to any dedicated firewall so I wouldn’t want to use it in production. The exam also only covers v1.0, whereas v4.0 is the current release. Blogs – these complement the official docs – it’s where people spot the real challenge of a particular feature, or the unspoken gaps not mentioned in the official docs. Start at vLaunchPad. VMworld sessions – free to view (mostly) and focused on particular subjects, these an are often overlooked treasure trove. Study notes – creating my own study notes definately helped me remember things, as did other people’s (Sean Crookston’s especially). Community forums – both the general vSphere ones and the VCAP-DCA forum are useful places to post questions, and see what everyone else is asking. vicfg-firewall anyone? Trainsignal’s Troubleshooting training course by David Davis. The information is very useful and goes above and beyond the blueprint requirements. And of course I have something to add to the C.V.! Congratulations… -:) I’m planning to pass the exam this year too. Maybe during VMworld 2010 in Copenhagen….. It seem difficult but not impossible. Thanks Vladan. I’ve referred to your website quite a few times in the past, and judging by the great content I think you’ll sail through the VCAP-DCA. Good luck! Hope you dont mind me asking a few questions. 1. 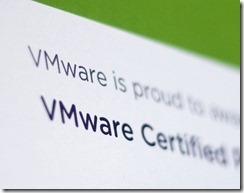 Is the exam easier, as you work with vmware on a daily basis? As i am not that fortunate, therefore i have to rely on my home lab. which is limited to 1 physical server and several nested hosts. 2. Trainsignal videos, do they help? Since i am unable to afford, the additional training courses, i was hoping trainsignal videos would be an ideal substitute. 3. 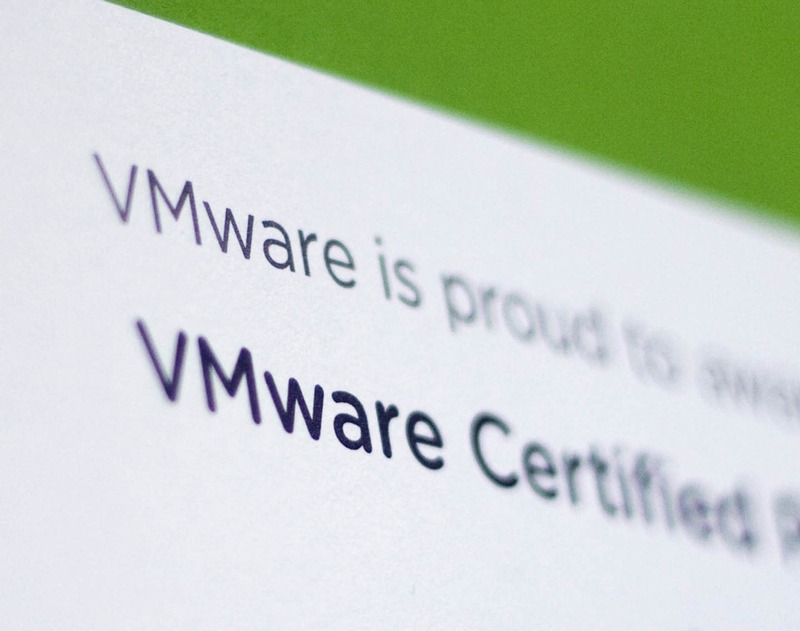 How should i incorporate your notes, into my own study plan, im trying to work out, if i should just this and the vmware official docs, to prepare for the exam. 1. It’s definately useful to have ‘real world’ experience over just lab time – you never stress test a product unless someone asks you to do things you woulnd’t normally think of (which happens in prodution environments all the time). If you don’t get hands on time during the day the best advice is to trawl the VMware forums and answer questions, and try to mock up user issues in your lab. 3. Only you know how to study effectively for you. For me I like a structured approach and writing it down helps me distill the useful info. Make notes, write yourself test scenarios, answer forum questions, get involved in Twitter, read the blogs – there are plenty of choices so pick the ones which work for you.